Life with a three year old is literally like living a line from a Charles Dickens book~ it was the best of times, it was the worst of times. Otto, who turned the big 3 over the weekend, isn't one to spare us the extremes in life. He isn't necessarily one for tantrums (thank goodness). But oh-my...lets just say, we have a pint sized teenager on our hands. But when that little rascal climbs into bed to "get cozy" each morning, putting his clammy toes on my back and sweetly whispers in my ear, "mama, get up. I need pancakes"~ how can I resist. I need to make pancakes for my three year old. If you haven't already started sniffing around about CAKE&WHISKEY~ I'd love for you to. I'll be sharing a ton more in the coming days and weeks, but until then~ I'd love for your to poke around our landing page and go "like" us on Facebook. The Smith Homestead typically runs on slow-mo time...some might even call it boring. For us, its perfect. Life recently, though, has taken a turn towards the fast lane and we're trying ever-so-hard to preserve the quietness that we adore and cherish. That, up there, is a little token of remembrance from my first trip to NYC a few weeks ago. It cost a little over $3 at a kitchy little shop near Times Square. 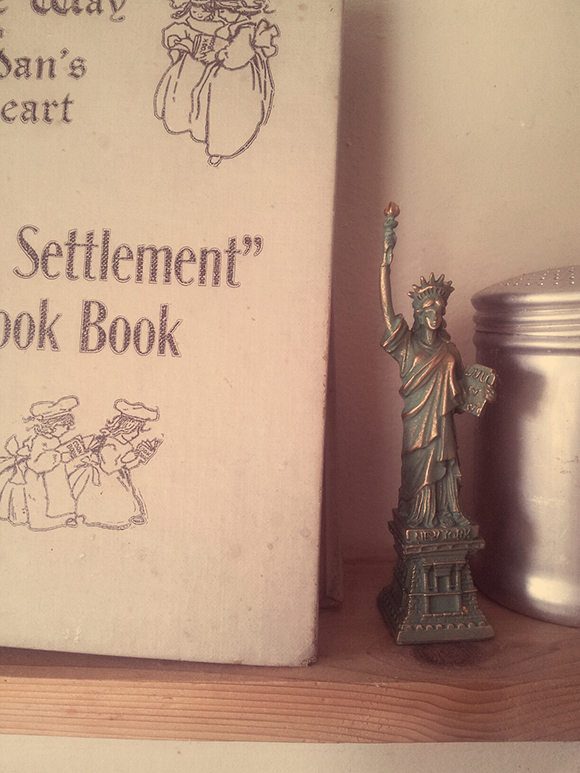 It sits on the cedar shelf by my stove~ next to the cookbook from a friend and our antique shaker. NY was a whirlwind and albeit great in every way...I couldn't wait to get back home. In a couple of weeks a project that has been in the works for a little over 6 months will officially launch. I've shared a bit about it here and there...but next week I'll share the full scope of the uncharted waters we're heading into. Exciting and equally terrifying. Although my posts are a bit more infrequent, it won't be so for long. 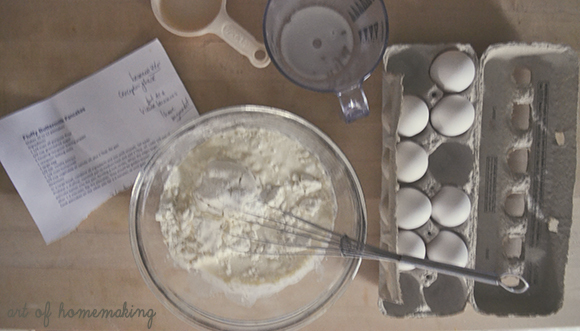 I'm still busy in the kitchen, creating lovely things for family and friends and can't wait to dive back into my first creative love, The Art of Homemaking.